To have or not or not to have, is that the problem? Let’s get rid of Hamletesque questions when we are talking about the ‘it’ pieces of his and hers wardrobes – especially in January! – that can be bought directly on Roberto Collina website. 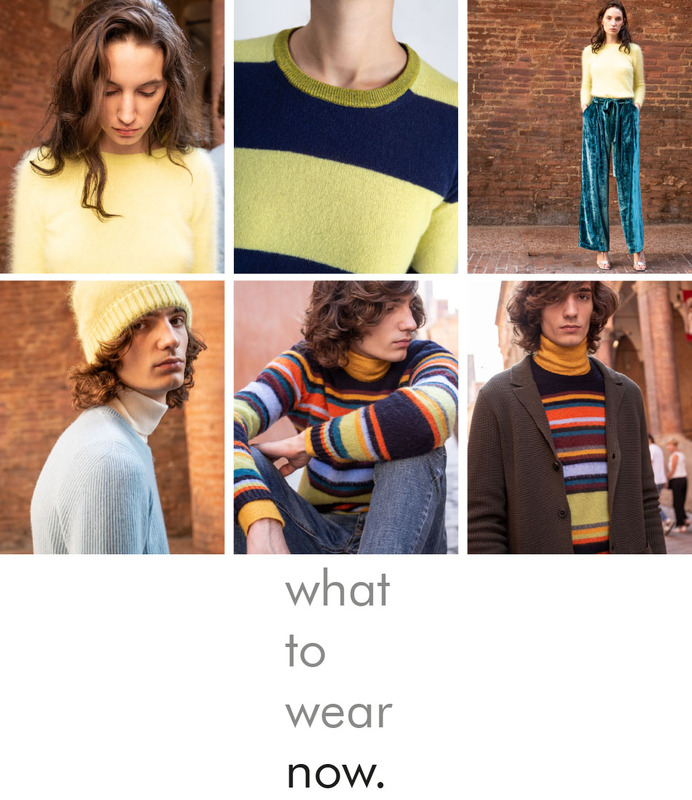 Absolutely essential items for her, not attached to any season, that can make the winter cold incredibly cool, like the maxi-stripe cashmere and lurex sweater or a bouquet of super-colour angora jumpers, that have to be worn with soft, smooth velvet pants. Our minds also turn to him, with the soft, warm slim-fit pullovers – in the winning combination of block colours and multicolour stripes – and essential jackets,that can be worn just about anywhere, to add that je ne sais quoi to everylook? Which must have piece have you chosen?